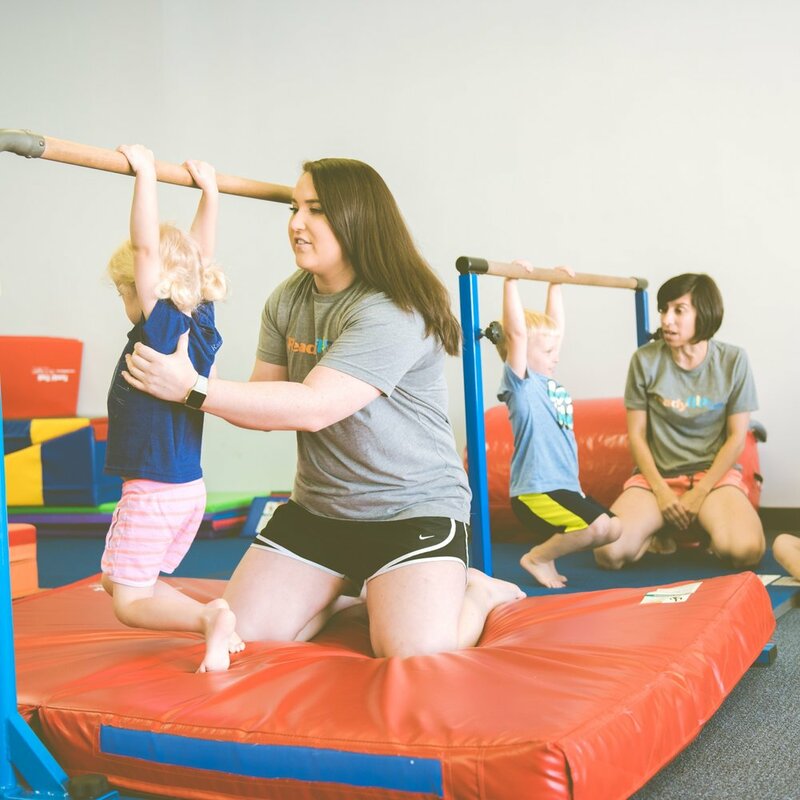 Houston's Best Gymnastics Center for Infants to Elementary Aged Kids! Checkout all the classes we offer at Ready Flip Go! To see our students and coaches in action, click on the image! Already know what class you want to sign up for? Click on the Class Listing link to go directly to our class lists. This class uses fun ways to enhance the world around babies. Parent and baby continue to bond while baby develops core, neck and back strength as well as special awareness. This class is designed for parents, toddlers and a coach. Parents interact with their children while the coach teaches them development skills utilizing all the equipment. Class structure includes obstacle courses basic gymnastics skills, including forward roll, jumps, balance beam and bars. This class allows each Prek'er to reach their potential and grow in confidence. We walk them through each Gymnastics Progression on bars beam, vault and tumbling. This class is an introductory class to gymnastics for both boys and girls. As children grow so does their potential. Here they will learn fun and exciting new skills using floor routines, balance beam and bars. Helping each child reach their goals and build confidence using the progressions of gymnastics. They will have the opportunity to be challenged on bars, beam, vault and tumbling. This class is designed to help each child with their beginner to intermediate tumbling skills. This class focuses on strength and flexibility, forward and backward rolls, cartwheels and round offs, handstands, back bends including front and back kick overs.